Today is the last Friday of the month of April, it sure has gone by very quickly. We hope that you all have a wonderful weekend and manage to get some time to craft. Today we are sharing Nicky's beautiful card. 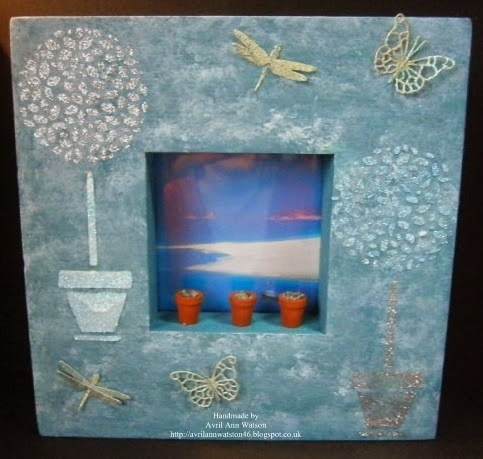 She has used the beautiful Wisteria Panel from our Website. The stencil panels have been a particular favourite with the design team and it would appear that you are also loving them too. Today we are sharing Avril's beautiful project which she has made to put up in her newly decorated bathroom. She has used the Topiary Flower Panel from our website. We wish you all a Happy Easter and hope you are having a lovely day. Today we would like to share Jennifer's card with you. 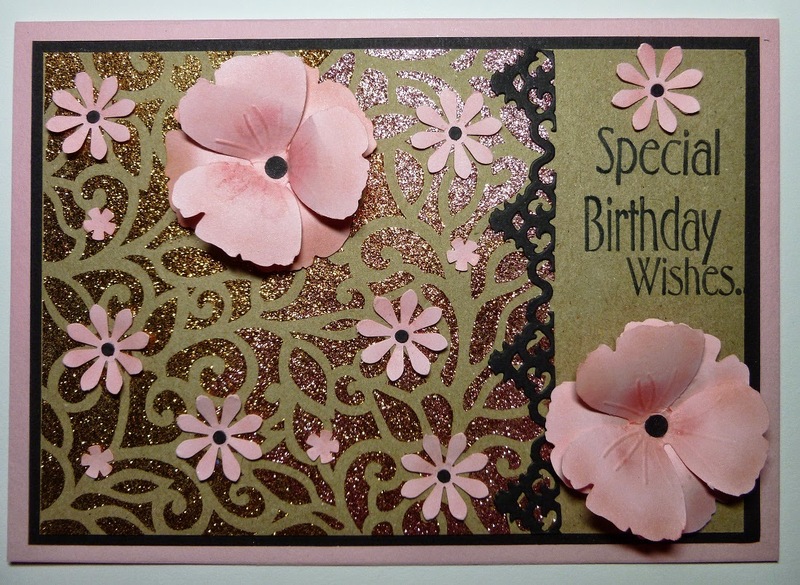 She has used Vine Trellis Background Stencil with a mixture of Cinnamon and Antique Rose Sparkle Medium which are available on our Website.